I he pure white plumage of this species and the fine plumes that hang from its head, neck, and hack are justly famed for their beauty. Both sexes acquire this decoration at the start of the breeding season, and raise their plumes in display to one another at the nest. 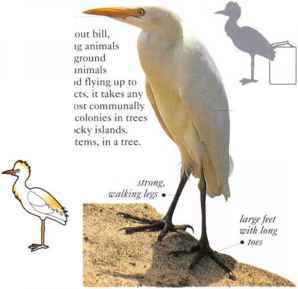 At other times, Snowy Kgrets arc simply small, white-herons with black bills and bright yellow feet. They live mainly in marshes, either fresh or saltwater. They feed in the daytime, dashing about in search offish and any small marsh animals. At times they rake or stir the bottom of the water with their feet to disturb prey. Snowy Kgrets gather in large flocks to roost in trees and also nest in colonies in trees. • NliST A platform made of sticks and twigs, placed in a tree. • DlSTRIBlJTION Breeds in USA and through the Americas as far as S. Chile. Northern and southern populations migrate to warmer regions for winter. 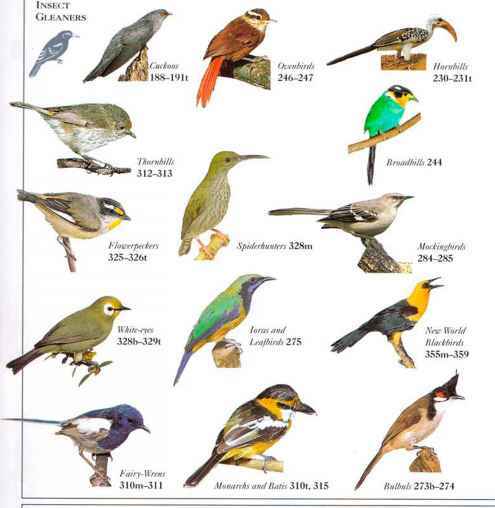 REMARK The species was hunted nearly to extinction by the end of the 19th century. Public-protests led to the formation of bird protection societies.